She and her band of merry musicians were treated like royalty as they made their perennial trek from the hormone-ravaged halls of the junior high to the prepubescent kid-ranch called elementary school. Their quest was to excite jubilant throngs of students with a buffet of instrumentation upon which they would indulge their aural appetites. At the end of their feasting, each 5th grade student was to select an instrument they would begin learning the following year. Curious and wonder-filled, I sampled the symphonic spectrum. From the trill of flutes to the blats of brass to syncopated percussion beats. How excited I was to end my conscription in piano purgatory and broaden my musical expression. In the parade of valves and pads and sticks and slides, my heart found camaraderie with the brass section. Specifically, I was enthralled by circular turns of tubing and hand-muffled sounds. I was fascinated by the range of tones traversed with the simple repositioning of pursed lips. My imagination brought forth a scene in which I played my horn to summon the King’s hounds for a fox hunt. Yes! I had made my decision. I wanted to play the French Horn. Alas, there was no horn tootin’ in my future. Instead, I would squawk sounds like angry water fowl with my mother’s clarinet. The dictum of “no” to the French horn and “yes” to the clarinet has provided enduring perspective. I can grumble about the trajectory my orchestral career might have traversed had my lips trilled into a metal mouthpiece instead of sucking a reed. Such speculation is packed with presumption. Still, passions are powerful. They need tending in the mix of the “no’s” and “yes’s” that lie along the tentacled paths we wander. Paths that criss-cross and spread and tangle and stretch. 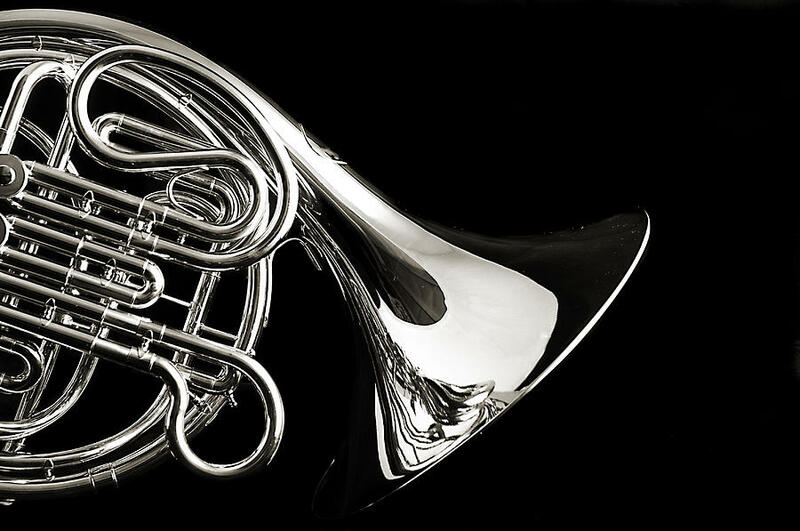 A recent collision with “no” revived the melodic memory of a French horn’s bellow. My story has a chapter with that unrealized dream. A yearning that drifted – for a time – in restlessness. And now my soul seeps a fresh grief. So what do I do with my French Horn nixing and other encounters with “no”? Day after day, I reaffirm human dignity, acknowledge fallibility, and hope for alternative paths to flourishing. I fight commiseration and plead for the humility to submit to the Father who soothes our hurt with a holy poultice of grace and forgiveness. Healing comes through a faith-filled “yes” to the Sovereign who makes rightful claim on every creature and every action. In his memoir, Life is Mostly Edges, Calvin Miller offers this: “Letting go of any drive releases the soul, and those who can’t quit struggling in an attempt to realize their dreams will be the last to realize them.” (p.265) There is a delicate tension between the consuming drive for desire and a settled trust that we are walking a gracious and satisfying path. A path that includes “yes” and “no”. French horns and clarinets. I’ve always been fascinated with dreams. They’re such a peculiar, unpredictable characteristic of animate life. Rarely are dreams a true reflection of reality (at least my dreams). They combine real people and circumstances, but in ways that are nothing short of bizarre – even creepy. Dreams can be like looking at Picasso’s paintings: you know it’s a person’s face, but the eyes, ears, nose and mouth aren’t where they’re supposed to be. Recently my wife and I were out on a Sunday afternoon walk. After our usual rundown of the week’s events, parenting issues and the budget I expressed to her a point of struggle. It wasn’t the first time we had talked about this particular “issue” of mine (I’m glad she’s a patient listener). But this time she challenged me with something I’m still mulling over. She asked me if I ever dream with God. For you Seinfeld groupies, her question gave me a mini version of the Cosmo Kramer full-body shudder. Dream with God? What does that mean? Dreams can be so…weird. And dreams are…dreams. Out there. Speculative. Unattainable. Why would I dream with God? Now, you need to understand that I’m a very practical, realistic, by-the-book dude. I’m a rule follower. Careful and cautious. Some might say boring. I don’t like to presume or push. I like achievable goals and well-defined expectations. Things tangible – not dreamy. But my wife is a wise woman. My ideal helper and completer. I take her seriously. So, I pondered her question and discovered I haven’t really dreamed with God. At least not since I was a child when I dreamed of being a missionary among cannibals – Bible in one hand, machete in the other. So why did my dreaming stop? Perhaps my dreamlessness reveals a lack of trust? Maybe I don’t believe God is worthy of my dreams? That he can’t or won’t meet my deepest desires? Maybe I’m afraid my wishes are out of bounds? That I’d be wasting God’s time – and mine – with thoughts that go beyond my present experience. Perhaps I’m afraid of hearing “no”? I can easily resign to wondering why I would even dream in the first place. Dreaming with God – or anyone else – is exposing. Expressing dreams brings soul-level nakedness. Dreams can’t be hidden by façades. Instead they reveal the truest desires of our heart. And to share them can be scary. Few of us haven’t had an experience of sharing our most tender hopes to an audience that reacts with laughter, scoffing, doubt or a cool nonchalance. Still, I return to my wife’s veiled encouragement: dream with God. Okay. But that means I must move beyond my small and predictable perspective. I’ve got to muster courage and release tightly bound hopes. Hopes that seem audacious. Presumptuous. Bold. This feels uncomfortable, even disrespectful. Can I really have full expression (i.e. dream) with our very powerful, all-knowing, in control of everything God of the universe? The week after that Sunday walk, I prayed. As I did, I ventured into dreamland. I verbalized what lurked in my heart’s hidden places. I spoke to God about hopes I have for myself in regard to the “issue” I was wrestling with. I moved carefully. He received lovingly. It felt good. It was right. I was dreaming with God. I now work each day to bring my big stuff to my big God. Sure, He already knows my dreams. But it’s good to talk about them. It has helped open the door to a fuller understanding of who God is, as well as who I am. It has caused me to reconsider my purpose and unique design. Engaging God with my dreams has energized my personal mission and inflated my motivation. It has brought me peace. When I don’t dream with God I miss the best fulfillment of the work to which He’s called me. Dreaming with God brings Him glory, and me joy. It brings a more meaningful meshing of my story with His. Dreaming allows me to experience more of the mystery and wonder of a God who can do “immeasurably more” than anything I can dream. Ephesians 3:20-21 NIV Now to him who is able to do immeasurably more than all we ask or imagine, according to his power that is at work within us, to him be glory in the church and in Christ Jesus throughout all generations, for ever and ever! Amen.